Originally established by City Charter in 1861, the San Rafael City Schools has for generations understood the importance of providing a safe, challenging and culturally rich learning environment that provides our students with the opportunity to realize their maximum potential and prepare for the challenges ahead. 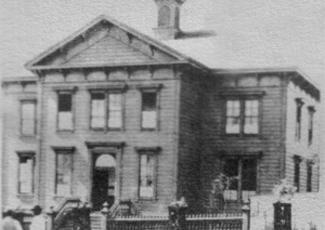 The first public school in San Rafael was established in 1861 with 25 students at the corner of Fourth and B Street. San Rafael's first public school was located at the corner of Fourth and B Streets, in a building that previously held a private school, The San Rafael Institute. This school on B Street remained San Rafael's only public school for 26 years and laid the foundation for the many schools that would follow. As the city's population grew, so did the number of schools. In 1850, San Rafael claimed a population of 323. By 1920, it had grown to 5,512, and the San Rafael City Schools had grown to include four elementary schools and one high school. Between 1950 and 1970, as the city's population continued to grow, a new phase of rapid building ensued. Today, the San Rafael City Schools is comprised of twelve schools that serve over 5,700 students. In accordance with the City Charter, the San Rafael City Schools represents two separate school districts: one for elementary grades (K-8) and one for the high school level (9-12). Both Districts are governed by one five-member Board of Education and share a Superintendent. Students of the San Rafael Elementary School District are part of the San Rafael High School District. Learn more in this .pdf file.